Hatha Yoga is a source of many detailed notions and practices that promote psychophysical and spiritual well-being. Additionally, Hatha Yoga is a system of religious therapy, a path of healing the body and mind that serves the purpose of liberation of a human being. Hatha Yoga is a useful starting point to examine the relationship of medical and spiritual health because it connects the cultivation of physical and psychological health with spiritual well-being and demonstrates the idea of spiritual liberation of human beings as healing. Hatha in Sanskrit literally means force, violence, an aggressive force. This is the reason Hatha Yoga is often referred to as the forceful yoga connected with the body. 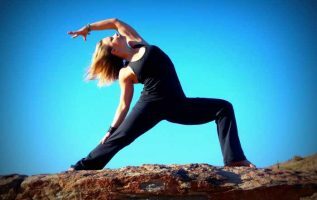 Hatha Yoga is the type of yoga most commonly practiced in the West and to many people, yoga is identical with the practice of physical postures, so Hatha Yoga generally refers exclusively to the practice of asanas, the physical postures of yoga. Linguistically in the Hatha, Ha means â€œsun,â€ and tha means â€œmoon,â€ so hatha is a combining of complementary forces. Hatha Yoga is the branch of yoga that transforms the human body via physical strengthening and purification to make the body a worthy vehicle of self-realization. The two syllables in the word hatha, which stand for the sun (ha) and the moon (tha), mean a deep union of the body and the mind and of the masculine and feminine energies within each individual. Thus, the word hatha reminds us that in essence, hatha yoga is a search for interior unity and wholeness. 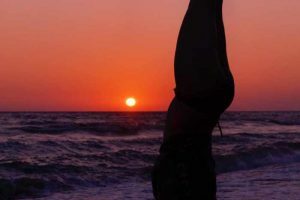 A multiplicity of approaches to executing these postures has developed over time; as a result, various approaches to Hatha Yoga have developed with many schools and Hatha Yoga teachers. Hatha Yoga is the branch of yoga that concentrates on the body. Hatha Yoga is an excellent body, fitness program, and a health remedy. Hatha Yoga is based on the notion that gaining supreme control over the body is the key to control of the mind and freedom of the spirit. Hatha Yoga works under the assumption that supreme control over the body, or the physical self, is one path to enlightenment, to spiritual freedom. Hatha Yoga is a sort of spiritual fitness plan in which balance is a key. In Hatha Yoga consideration for the physical body is in the foremost view; this particular type of yoga involves cleansing rituals and breathing exercises designed to manipulate the bodyâ€™s energy through breath control, in addition to the postures or exercises for which Hatha Yoga is commonly known. An essential and important part of Hatha Yoga and other forms of yoga is the control of breath or pranayama. In fact, the manipulation of breath to control the physical manifestation of prana in the body is Hatha Yogaâ€™s realm. Yogis purposefully learn to use prana to drive the mind to a higher state of consciousness. Through postures (asanas), breathing exercises (pranayama), and meditation, Hatha Yoga exercises, strengthens and tones the body, mind, and spirit. Even if you start with the physical exercises alone, however, Hatha Yoga will quickly begin to work its wonders.